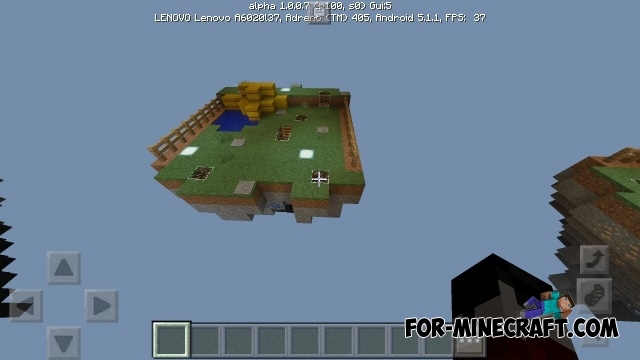 Let's go back to the Skywars which is pretty old genre of many MCPE maps. Call your friends and start an epic battle among themselves right now. The winner will be able to capture all of the islands, the loser is left with nothing. The Legendary Chests map is the nine different islands, where players will start their battle. Chests full of different things for the fight, are scattered everywhere. You will spawn on the path leading to two opposite islands. In the center you will find all the necessary information. Players can split into teams or play every man for himself. Do not forget the chests and hidden passages. 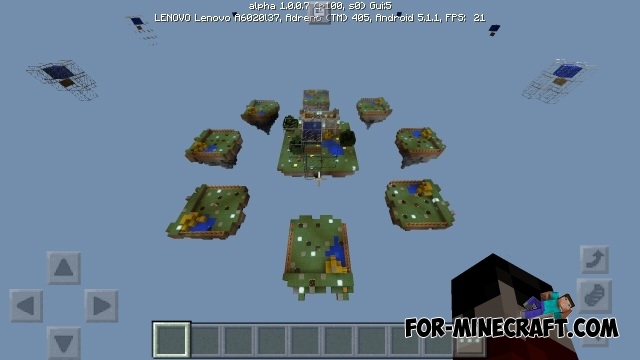 Skywars map by Yupai for MCPE 0.14.0Author has change the traditional SkyWars by adding a lot of new things due to which your every game is unique. Now Skywars includes 4 maps!